My Chairman’s report is for 2018/19 which is the last year of the current four year term of this Parish Council. New elections will be held in May 2019 to elect councillors for the next four year term May 2019 to May 2023. I encourage residents of Balsall Parish interested in the future of their community to come forward and stand for election to ensure this parish is properly represented. There are currently seven of the ten councillors who have served the full four year term. Cllr Judy Lea and Cllr Lionel King have given twelve years of public service to Balsall parish. Your council has also benefitted from the co-option of Cllr Helen Dean and Cllr Christina O’Sullivan, both residents of Balsall Common who have played a very significant role for the parish over the last two years. Your council has been fortunate to have had a majority of councillors who have been prepared to give significant amounts of their free time, and to cooperate and collaborate together in a collegiate atmosphere, on the many council committees and working groups. I would like to say thank you to these committed individual councillors for their significant contributions. Thanks to their enthusiasm, humour, determination and a deep passion for the place where we live, this has been a year of achievements for your council. 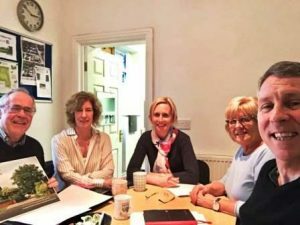 Your council set out to produce the Balsall Parish Neighbourhood Development Plan in July 2017, with the aim to manage local development, and to protect the distinctive character and rural nature of our parish. Your neighbourhood development plan committee chaired by Cllr Helen Dean with Cllr Will Heard, Cllr Christina O’Sullivan and myself have managed the project to collect the evidence to produce this plan. I would like to thank Neil Pearce of Avon Planning Services for his professional planning support provided in preparing the Plan, and assisting your council ensuring that good quality consultation, planning and engagement has taken place. Your council set out to influence Solihull Metropolitan Borough Council (SMBC) to include important infrastructure improvements for our area in the Solihull Local Plan prioritising a new primary school, a bypass around Balsall Common and an improved village centre. These have all been included in the latest draft version of the Solihull Local Plan. Your council strongly opposes any new development that extends the existing built-up area boundary south of Balsall Street and Balsall Street East. I would also like to say thank you to the residents, volunteers, organisations and local businesses that have taken part in preparing the Neighbourhood Plan. I would also like to thank the officers at Solihull Metropolitan Borough Council for their expertise, guidance and support at the crucial stages of preparing the Neighbourhood Plan. I am pleased to report that the final submission version of this plan has been completed by your council. 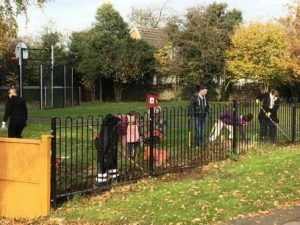 Your council set out to work with local residents to improve Willow Park. 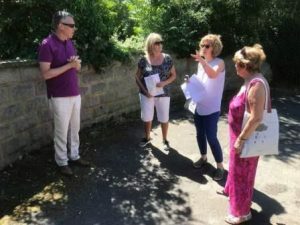 Cllr Will Heard instigated the project to improve Willow Park and Cllr Marie-Louise Marsden has chaired the Facilities committee with Cllrs Judy Lea, Christina O’Sullivan and I, who were responsible to deliver the improvements to the park. 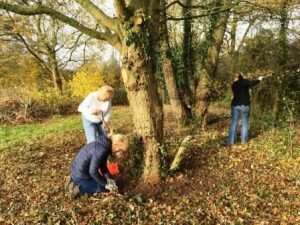 Your council has supported the residents group ‘Friends of Willow Park’ working with Warwickshire Conservation Volunteers to improve the natural environment in the park. Your council has invested cash reserves in new children’s play equipment, constructed a new pathway and provided outdoor gym equipment to improve the facilities to the park. Your Council has continued to represent the residents of the parish at the Airport Consultative Committee of Birmingham Airport. After four years of lobbying I am pleased to advise that a new design to the departure flight path for aircraft turning over the north of Balsall Common should mean less aircraft overflying the village. Your council has made representations to the Birmingham Airport Master Plan consultation and the Government Aviation Strategy 2050 consultation calling for better regulation and management of the environmental impacts of aviation. To further improve communication this year your council has introduced a Bi-monthly newsletter to follow parish council meetings to update residents. Thank you to Cllr Christina O’Sullivan who is responsible for posting regular information for all residents of Balsall Common and rural Balsall parish on the Facebook page. Our parish clerk keeps the council website up to date with relevant information and council documents. 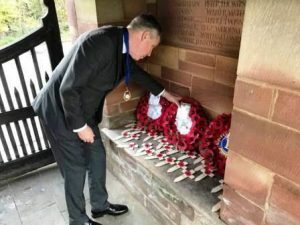 Your council commemorated the Centenary of the end of World War I. I was very honoured to lay a wreath on behalf of Balsall parish at St. Peter’s Church Remembrance service. Cllrs Lionel King, Will Heard, Judy Lea, Christina O’Sullivan, Richard Lloyd and I joined with all of the children of Lady Katherine Leveson primary school for a service and commemoration at the Parish War memorial in Temple Balsall Cemetery. 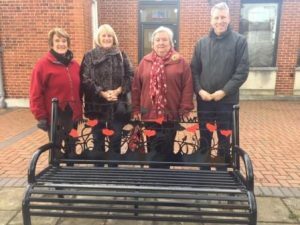 Your council arranged and installed a permanent memorial bench on behalf of all residents in the village centre to commemorate this centenary. Cllr Will Heard has championed the project for a strategic improvement to our village centre. He led a working group with Balsall and Berkswell parish councillors and representatives from village centre businesses. They produced a concept shared-space plan which following consultation has been adopted within the Neighbourhood Development Plan. It is for Solihull Borough Council to now take the lead in this project to deliver these much needed improvements. 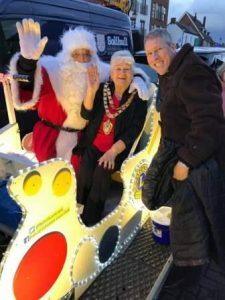 I was delighted to welcome Solihull Borough Mayor Flo Nash, who has given a lifetime of public service in North Solihull, to our traditional Christmas Lights switch on with the Balsall Common Lions in the village centre. The main role of any public authority that provides facilities and services that are financed by raising taxes from residents is to operate a budget that spends efficiently and effectively. I am pleased to advise that we have improved both efficiency and effectiveness over the last four years since the last Parish Council elections in 2015. 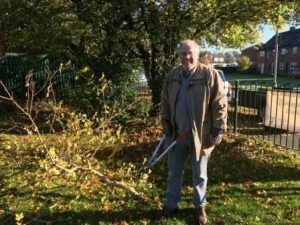 We have used reserves to fund the renovations at the Jubilee Centre, to create a memorial garden at Temple Balsall Cemetery, to improve the Christmas Lights, to complete a major improvement project at Willow Park and to settle an outstanding pension deficit from previous employees. Your council has developed a better in house financial control system which means that your Council is able to hold lower reserves. For a second year your Council is able to reduce the tax burden on Balsall Parish residents. In 2018/19 your Council reduced the tax collected from residents by 24%. In the next financial year budget 2019/20, your Council are able to go even further, with a one-off reduction in the tax by a further 57%. The Band D annual parish precept charge added to Council tax per household in Balsall parish will be £11.70 that compares to the national average of £64.05. I would like to thank our clerk, who more than any other single individual deserves credit for this year of achievements. Your council considers our duty of care as an employer to be of paramount importance, and this year we have put in place policies to ensure councillors adhere to the best standards of conduct. Working closely with our clerk and the majority of councillors in a cooperative and civil collegiate atmosphere, with the aim of improving where we live has been a rewarding and very worthwhile experience. I highly recommend it to fellow residents of Balsall parish.